Hydroponic gardening doesn’t need to be complicated. Personal-sized and automated hydroponic gardening systems for your home exist to make soilless gardening easy for any level of gardener. The automated hydroponic gardening systems can be placed anywhere in the home and grow any number of healthy and thriving plants with minimal maintenance requirements. Welcome to the age when technology helps us achieve sustainability. 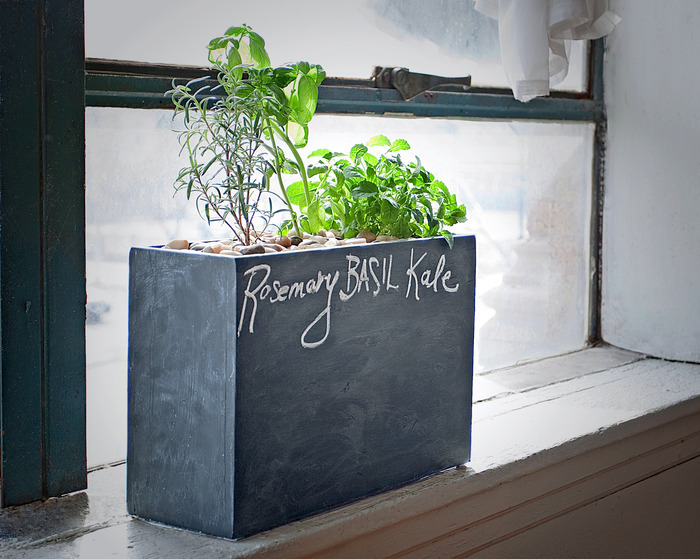 The Modern Sprout plug-in planter in chalkboard finish. Image via Modern Sprout Planter. 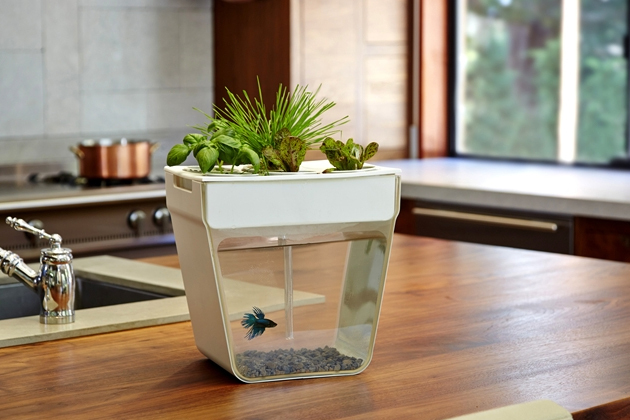 The Modern Sprout Planter operates on a pump and timer for adjustable watering. This compact gardening unit also has the option for being powered by solar as opposed to grid electricity. 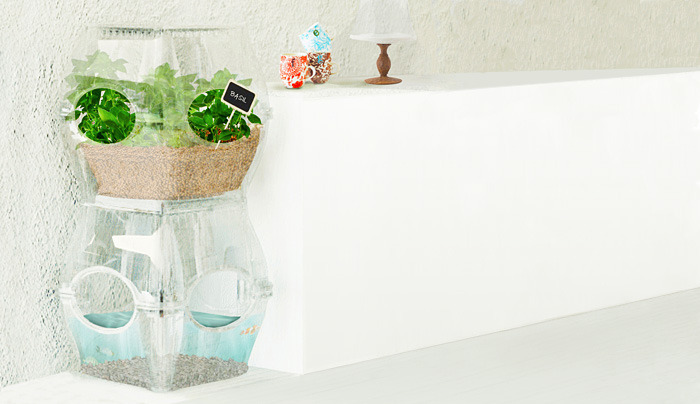 The Modern Sprout Planter is an indoor gardening system perfect for windowsill or countertop cultivation. The Click & Grow smart planter gardening system for your home. Image via Click & Grow. 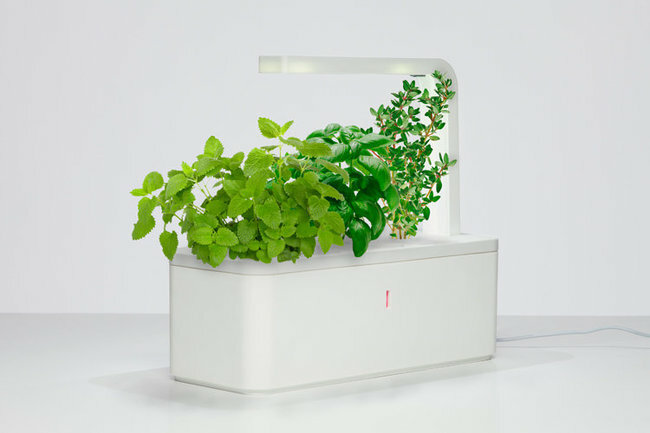 Like the Modern Sprout, the Click & Grow is an automated countertop unit. Click & Grow uses a smart grow medium to determine the health of your plant through sensors and software. The monitoring system makes adjustments to water, oxygen, and nutrients accordingly. The Click & Grow has options for mini tomato, basil, or chili plant cartridges. Niwa is a smart phone controlled plant growing system. Image via Kickstarter. 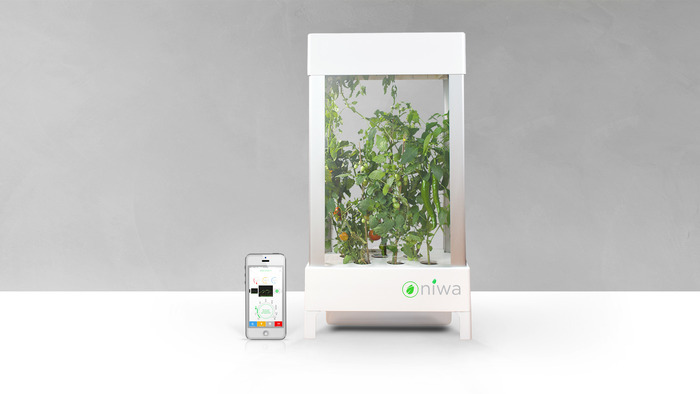 Niwa is the “world’s first smart-phone controlled plant growing system”. The smart technology allows you, the grower, to be connected with your plants’ health at all stages of the growth cycle. Niwa makes adjustments to water, light and other growing conditions to ensure maximum efficiency at all times. Niwa is also an open-source community which encourages growers to share their own grow programs so that others may benefit too. The Aqualibrium Garden is a hydroponic/aquaponic hybrid gardening system. Image via Aqualibrium. The Aqualibrium Garden is a hybrid automated hydroponic gardening system that has the option for aquaponic gardening. Aquaponics means this system is considered closed-loop, and ecologically-conscious way to grow your food that’s less resource intensive. The Aqualibrium Garden also includes LED grow lights to maximize plant yields. This is perfect for apartment-gardening where sunlight is limited. Back to the Roots AquaFarm is an aquaponic gardening system for the home. Image via Back to the Roots. Like the Aqualibrium Garden, the AquaFarm is a closed loop aquaponic system which recirculates fish waste to fertilize the plants. The Aqua Farm kit comes fully loaded with everything you need to get growing – including fish food and plant seeds. Its compact size allows you to move your garden from room to room. AquaDesigner Tranquility Living Fountain Ni aquaponic gardening system. Image via The Aquaponic Source. From aquaponic gardening guru and founder of the Aquaponic Source, Sylvia Bernstein, comes the Tranquility Living Fountain. This ecologically designed aquaponic fountain allows you to grow beautiful displays of vegetables and herbs in your home while adding both aesthetics and serenity to your home. The Tranquility Living Fountain is also a closed-loop, sustainable system which comes in four different designs. Purchase the Starter Pack which comes with everything you need including grow media and beneficial bacteria. There are many more gardening systems for your home then the ones listed here.